When your immune system mistakenly attacks hair follicles– where hair growth begins– you may be diagnosed with “alopecia areata.” It’s a common autoimmune skin disease whereas there’s hair loss on the scalp, face and/or other parts of the body. In the U.S. potentially more than 6 million people experience alopecia areata, which usually first occurs in childhood. 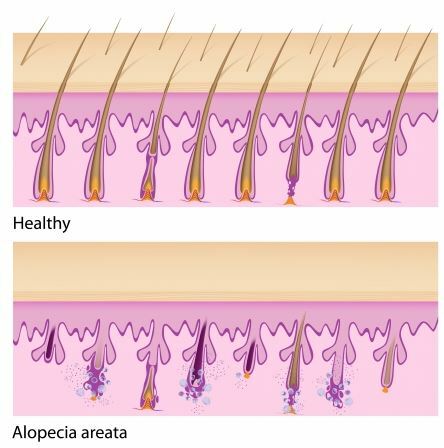 Interestingly, damage to the hair follicles generally isn’t permanent– even with alopecia areata the hair follicles stay alive and there’s a chance that hair can and will regrow at any time. Who can get alopecia areata? It doesn’t discriminate– men, women, young, old, and any ethnic group can get it. Experts remain unsure why it happens. How do you know if you have it? If you notice clumps of hair have fallen out leaving smooth, round, and hairless patches on your scalp, you probably have it. Hair loss can come and go in different areas. Sometimes the hair will become thinner in a certain area. Other times it’ll seemingly grow and then break off, leaving only short stubs. 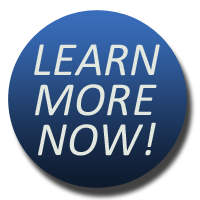 After a few months, hair typically grows back in the spots affected by alopecia areata. In some cases, it’ll grow back “fine and white,” and in other cases it may not grow back. You’re likely to get alopecia areata if your family has a history of it, you had it at a young age before puberty, or you have another autoimmune disease. Though alopecia areata can’t be cured, it can be treated. Doctors typically conduct blood tests and hair analysis and then plan a course of action to help a person look and feel their best. If you’re experiencing hair loss issues, contact the experts at NM Hair Replacement Studio today.